Home Doctors Slip and Fall Off Ladder… What is the DDX? 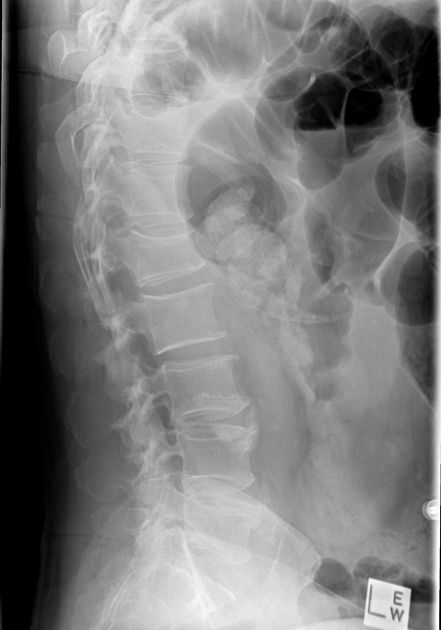 A 60yr old male patient enters the office with complaint of severe low back pain in the L1-3 region bilateral. He states he was on his ladder at home painting a wall on the exterior of his house when he slipped off and landed on his back. He states being unable to move for a period 10 minutes before he was able to pull himself off the ground. Pain is sharp, stabbing and unrelenting. You send him for an xray and this comes back. L1 vertebral burst type fracture and T12 horizontally oriented spinous process fracture. Two column fracture of the L1 vertebral body involving superior end-plate compression and mild retropulsion of the posterior vertebral body margin. Associated horizontally oriented fracture of the T12 spinous process without obvious widening of the interspinous distance at T12-L1 to suggest posterior ligamentous disruption. Did you diagnose correctly? Whats your action plan from here?